You’re getting married! Congratulations! As you jump into planning your big day, do yourself a favor and try not to get so swept away in the excitement that you forget the small details that actually do matter in making your day run smoothly. At Beach Weddings Alabama, we know that “wedding brain” is more common than you’d think. We’ve compiled the most common forgotten details in wedding planning, so that you don’t forget them in the excitement of planning the best day of your life. Luckily, when you book your wedding with Beach Weddings Alabama, everything’s covered. We have chefs, cake decorators, florists, photographers, DJs, officiants, and coordinators to help you create a special day that your guests will continue to talk about for years to come. However with all of the different people that you’re working with, it’s to your benefit to discuss backup plans in case something happens day-of. 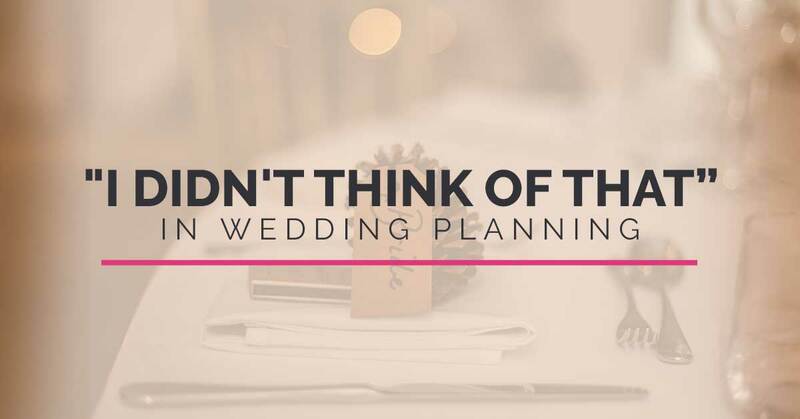 Because weddings are planned so far in advance, there is room for things to go wrong. Simply coming up with alternatives will give you peace of mind if something happens close to, or on your big day. When the sun goes down, photographers call that the “golden hour” because it makes the best photos. It is absolutely to your benefit to know when the sun sets and plan sunset photography into your agenda for the day. Your amazing photos of you and your new spouse will speak for themselves. Many people don’t think about how much dessert to actually buy for their wedding. It’s incredibly common to overestimate and buy way too much. The truth is, some people are too full from dinner, some people are on a diet, some people don’t like your choice in dessert, and some people aren’t fans of dessert (I know, I said it). More often than not, couples spend far too much than they need to on dessert, and end up taking home pounds of extra cake. It’s a smart idea to discuss with your vendors the possibility of the party going overtime, and how much that would cost. More often than not, your guests will be having the time of their lives, and not want to leave. It’s hard to predict how you’ll feel that night, so it’s better to be safe and plan for a longer party. 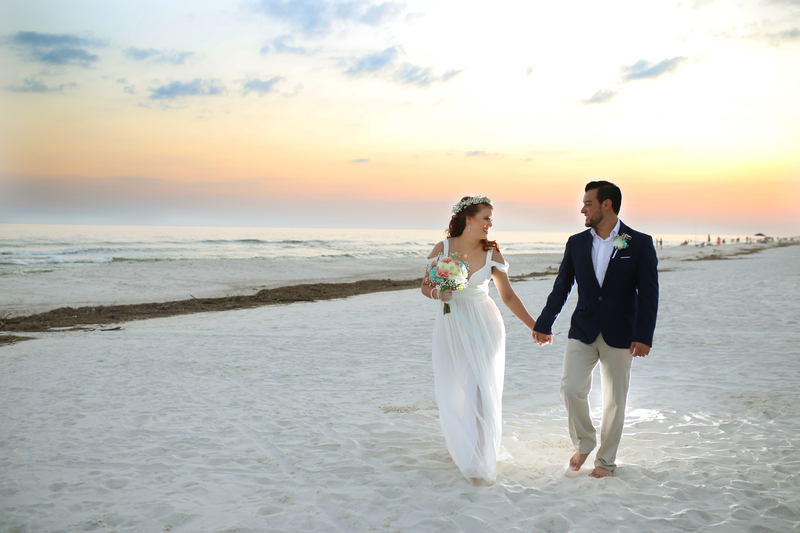 At Beach Weddings Alabama, we are dedicated to making sure your day is as special as you are. We will work with you to provide the special details that will make your day one-of-a-kind. It’s so easy to completely forget about this. It is simply a detail that not many people consider. So you book your vendors, and now you’re good to go, right? Not exactly. Be sure to read the fine print of your vendor contracts. Many vendors include the cost of a vendor meal in their pricing, and state that in the contract. However, considering the fact that they’ll be around your special day for most of the day, and they are a human and need to eat. Most couples feel that feeding the vendors is the polite thing to do regardless of the contract. There are so many details to think about during this exciting time, and at Beach Weddings Alabama, we are dedicated to assisting you in any way we can to make your day as special and stress-free as possible. We are the area’s only all-inclusive, Top Rated Local® beach wedding company. We cover all the details so your biggest concern will be enjoying the best day of your life. Contact us today to learn more about our all-inclusive wedding packages!